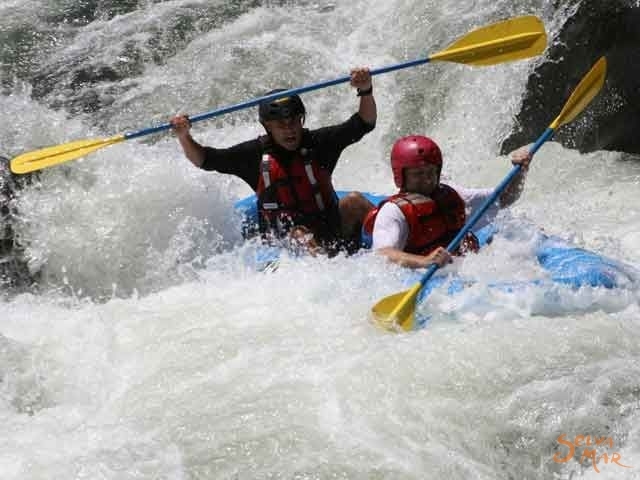 Trip in a small inflatable kayaks for 2 people. 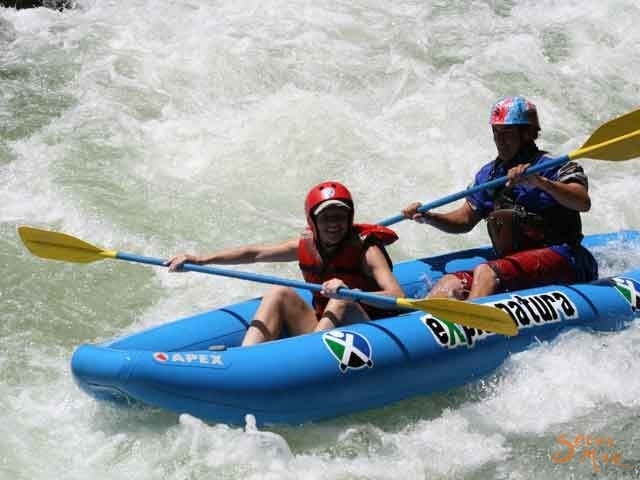 which are perfect for navigating and exploring the class II and III rapids in the river. 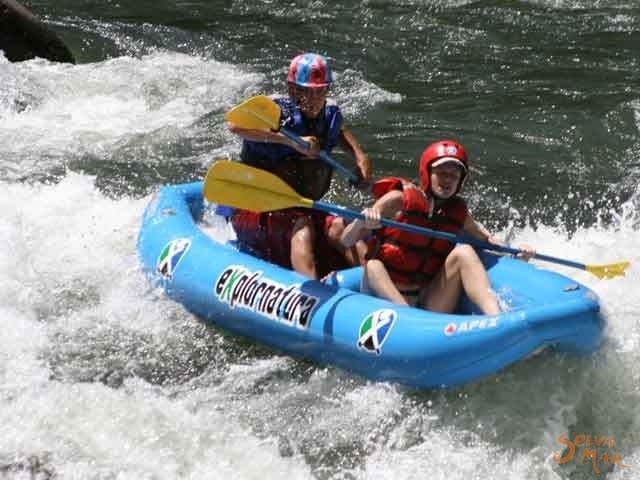 Each ducky fits one to two people so you will go down the river with a guide in the ducky with you to help you better navigate and enjoy the river and ensure a safe and fun-filled adventure. 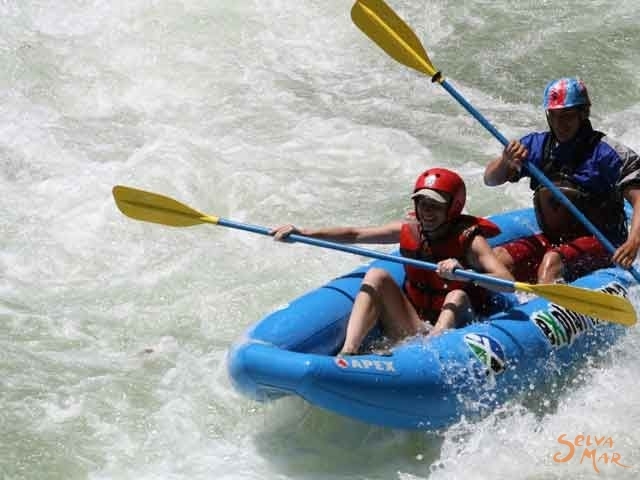 The trip takes approximately 3 hours (half day-tour) and is a perfect tour to enjoy with all of the family. 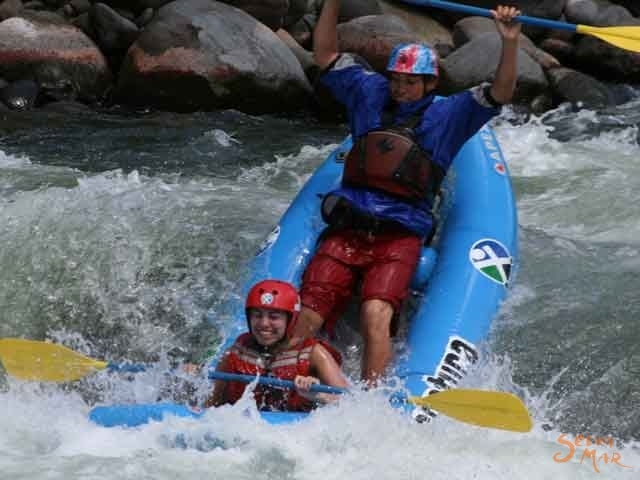 The adventure begins about 45 minutes outside of Turrialba where your guide will first give you a safety talk to orient you to the equipment and teach you the commands you will need to use on the river. 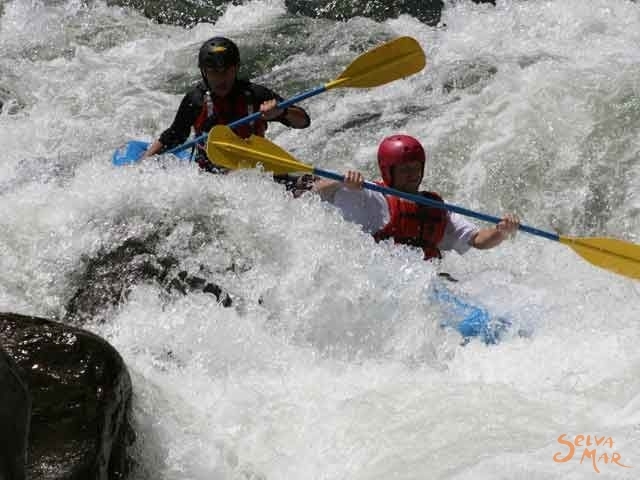 After practicing all the commands and drills, you will begin your kayaking experience! You will help the river guide maneuver the ducky by paddling and following his/her instructions. 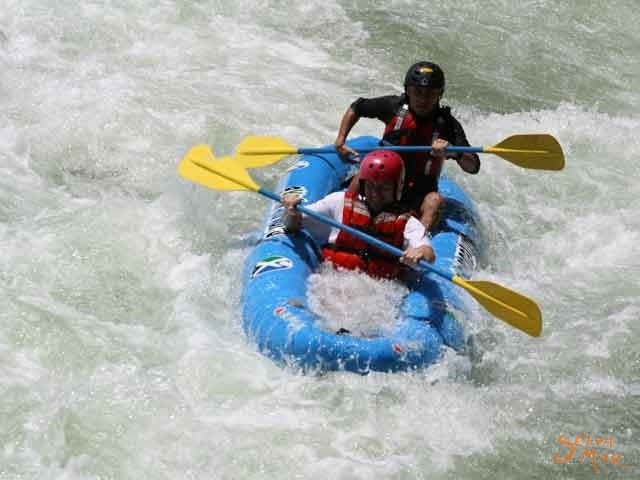 As you are paddling down the river you will enjoy the surrounding landscapes of the river which include rolling coffee and sugar cane plantations, a variety of wildlife, and the cool, refreshing water of the Pejibaye River. clothes and towel will be needed at the end of the tour.